There are two legislative assembly constituency in Chitrakoot district for the 2017 Assembly elections. They are 236 Chitrakoot, 237 Manikpur. When Uttar Pradesh assembly election 2017 is getting ready to electios new Assembly, Chitrakoot is not anywhere behind in the election heat. Chitrakoot district (Hindi: चित्रकूट जिला) is one of the districts of Uttar Pradesh state of India, and Chitrakoot town is the district headquarters. 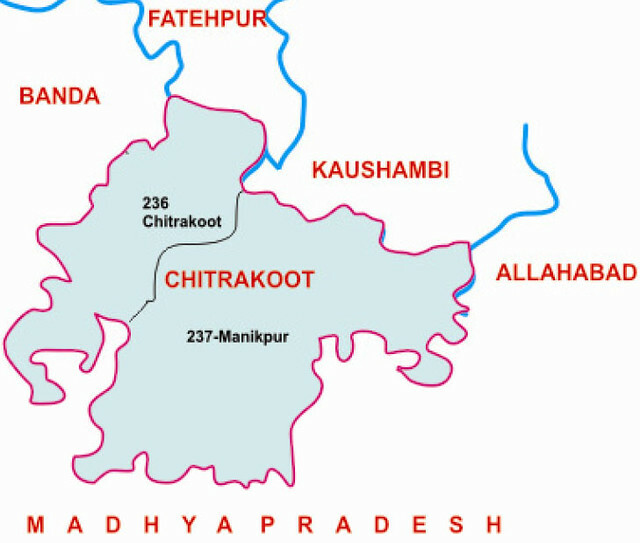 Chitrakoot district is a part of Chitrakoot Division. The district occupies an area of 3,45,291 km². The district has a population of 990,626 (2011 Census). As of 2011 it is the second least populous district of Uttar Pradesh (out of 71), after Mahoba.